The mythical Inca city of Machu Picchu, better known as the “lost city of the Incas”, is the masterpiece of the Inca civilization, and one of the few Inca cities that was not destroyed or modified during the Spanish invasion, was built around Of the 1,450 and is located 80 km from the City of Cusco in the northwest direction, in the valley formed by the Urubamba River, and known as the Sacred Valley of the Incas. 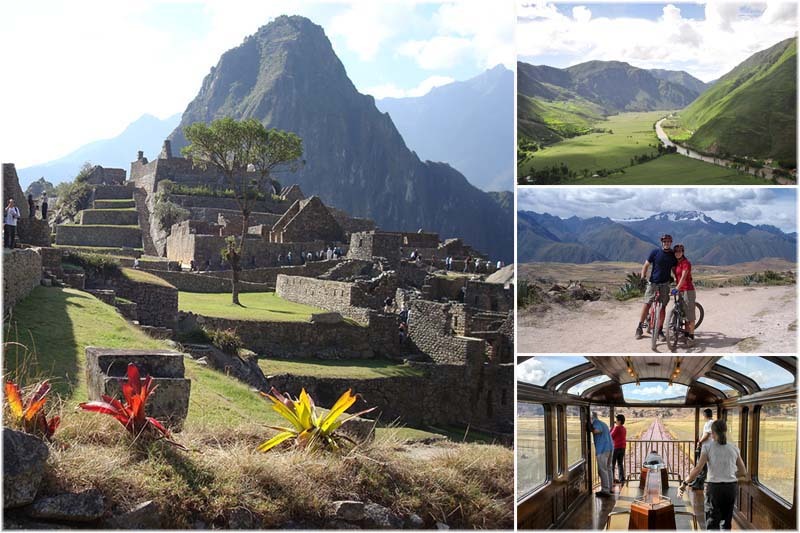 The Sacred Valley, Cusco and Machu Picchu, receive more visitors than any other place in Peru. The Sacred Valley is a very pleasant place; The weather is nice, the people are nice, the archaeological sites are impressive, and you can find all the necessary services, hotels, restaurants and so on. It is also where you enter Machu Picchu, one of the most incredible destinations in the world. Why visit the Sacred Valley on my trip to Machu Picchu? The Sacred Valley of the Incas houses not only Inca and pre-Inca archaeological sites, but also beautiful colonial villages, built close to and above them. The village of Pisac and its artisan market, is a must see in the valley. The Sacred Valley is also the best place to acclimatise before visiting Machu Picchu, it is located at a medium height and has one of the most delicious climates in the region. It is necessary a good acclimatization, especially if you plan to do some of the walks inside the National Park of Machu Picchu; Like ascending to the mountain Huayna Picchu. Visiting the Sacred Valley of the Incas before entering Machu Picchu, offers you to see the territories and the most important cities of what was the vast Inca Empire; Giving you a more complete view of this amazing civilization. The Sacred Valley of the Incas also gives you the opportunity to practice outdoor sports, adventure and extreme sports; You can go hiking, mountain biking, zipline (zip line), or some more extreme, such as climbing or rafting (levels 2, 3 and 4). When the train to Aguas Calientes travels through the Sacred Valley of the Incas, it gives you the opportunity to get beautiful views at every step. What to see in the Sacred Valley of the Incas? It is a picturesque village located 32 km from the City of Cusco, it possesses one of the best systems of andenería achieved by the Incas. It also houses towers, fortresses and astronomical observatories; Among the structures also highlights the Inca cemetery, America’s largest ancient cemetery. But that is not all, every week there is a Sunday fair to which indigenous artisans and merchants come to offer their products, you can find crafts, jewelry and textiles of the best quality, do not miss visiting the Pisac market, is an unforgettable experience. It is the village where you will have to board the train to Machu Picchu, it is located 97 km from Cusco; In it can be found a great fortress that served as checkpoint, for people who wanted to cross the Valley and enter Machu Picchu; Another of the Inca structures that can not be missed in Ollantaytambo, is the Temple of the Sun (temple dedicated to the Sun god), the baths of the ñustas (Inca princesses), etc. The present town of Ollantaytambo, is built on the walls of the ancient Inca town. 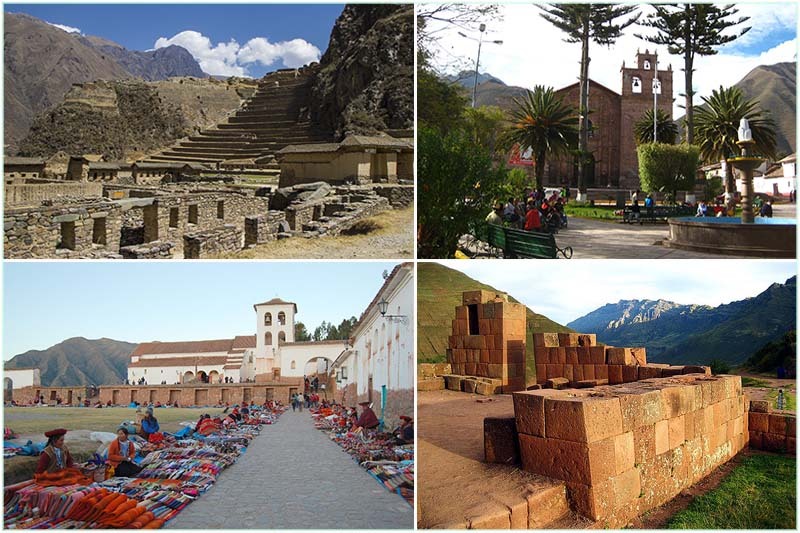 It is another ancient Inca town on which a colonial town was built, it is located in the most fertile area of the valley and should have been one of the main agricultural production centers of the empire. At present, it is a beautiful countryside that produces fruits and the best white corn in the world. Urubamba is located at the foot of the snow Chicón to 72 km of the Cusco; Is also called “La Perla del Vilcanota”, for the incredible landscapes that surround it.